The following is an email I received from reader Jessica, who wrote to me to share her journey of overcoming a serious compulsive shopping problem. I was so inspired by her story (she gave me some great ideas to use in my own recovery) that I asked if I could share her letter as part of my “Stories of Recovery” series. She graciously agreed and I’m delighted to share her words of wisdom with you today! It is completely possible to shop thoughtfully & love our wardrobes! I just want to send you a warm hearted thank you! Over the past twelve months, my shopping habits had spiraled more out of control than ever before. I’d become unappreciative of new things, and my sense of urgency with those “must have it now” purchases was becoming overwhelming. The quantity of my purchases was increasing and my budgeting had gone out the window. Your website has been a huge step towards recovery for me and your organized approach to spending and wardrobe management has appealed so much to me, like no other recovery advice. After reading your articles and watching a YouTube clip linked from your website, I went through my whole wardrobe. Not just the main one, but also the spare bedroom “maybe” wardrobe and the old suitcases and boxes full of unworn clothes. I scored everything on a scale of one to ten. Anything less than a “7” went. Anything “7” or over could stay unless there were two or more items I’d likely prefer to wear instead on a given day. I sent seven garbage bags to the second-hand store, one to the garbage bin, and I sold 60 items on eBay, not for the money. Rather, I sold those items purely for the reason that they were high quality pieces that just didn’t suit my style. They were too good to give to the seconds store, but I probably would have kept them for another two years until they were really outdated and then donated them anyway! The extremely lengthy process of selling items on eBay has been symbolic for me. Now every time I go to purchase something new, I remember that night I stayed up until 3 a.m. cleaning my wardrobe and posting on eBay. How long that took me! All that STUFF I accumulated that I didn’t need. All that wasted money on items not enjoyed for what they were worth. It’s a symbol to me that I need to be more thoughtful. I now have in my wardrobe only items that I love. In each section, I know which outfit I will wear next. I vow not to purchase an item for that section of my wardrobe unless another favorite outfit has been “worn out.” When I say “worn out,” I mean that the outfit has been worn a least a good handful of times in public – enough that the outfit really has “done its dash,” had some good public limelight, or maybe even worn enough that it’s starting to show signs of wear. From now on, I vow to only purchase 10/10 items that I love! This year, I want to live with less and free myself from the stress, anxiety, and guilt that come with compulsive shopping. I have started a gratitude diary to attract more gratitude and appreciation for the things I do have. I vow to purchase quality over quantity and incorporate more thoughtfulness into my shopping. For the first time in such a long time, I stand there and reflect on what’s in my wardrobe before buying anything. I’ll often walk out of a store and wait three to four days before making a purchase. And if something sells out, well it just wasn’t meant to be. I’ve learned there will always, always be material things that I want and can’t have. One item sold out only means there will be a next lot of must-have stock right around the corner. I’m an anxious person when it comes to my home being tidy. I can’t even keep on top of my washing and ironing and get stressed when I’m behind in the washing and chores, yet I’d buy more and more to add to the pile! I’ve vowed to keep my wardrobe small enough to maintain. To care for the beautiful items I do have. Iron them properly. Wash and store them carefully. And the big one… One item in, one item out. Thank you so much for all these lessons and so much more! I’m getting married very soon and a big shopping spree that I really couldn’t afford followed by a dreaded difficult conversation meant that I had to turn things around quick smart. I had to explain to my fiancé how far behind we were in the wedding budget mainly due to my spending. That was hard! After that conversation, I cut up my credit card and no longer use it. No more credit! Cutting up the credit card has been a huge help and was must-do step for me. And I have given my partner more financial accountability because he had no clue how bad I was. That has helped a lot, too. I can’t myself believe how much I have changed in a short period of time just from coming across your website. I really was becoming one of the most out of control shoppers I knew! I think once I set my mind to something, I become pretty determined, but I know it won’t be an easy road to maintain this new approach. Yet I have completely changed my attitude. It is so nice to be thrifty again and to actually think about money in a reasonable way. A big thank you to Jessica for sharing her story! Thank you so much for sharing your story. I am in my mid-30s and married 8 years ago, I have two toddlers & reading your story reminded me of starting out that wonderful journey that is marriage and all the adventure that will come with it. I think it’s wonderful that you were able to share with your fiancé and come up with some really meaningful goals & expectations for yourself – I have been struggling to do that for myself and happened upon your post just as I was getting ready to browse ebay… not such a great idea! My overshopping started after becoming a mom – though I’m sure I always had the compulsion at some level but it was not very consistent & it was quite manageable – being at home so much more, shopping online became a way to “zone out” after long days at the office & time with the kids. I have been able to abstain from shopping completely – for 8-10 weeks at a time, but later go on binges, buying 20-30 things in a month, not healthy at all… So reading your post inspired me because I liked your idea of buying things that are a “10” – and I think I misunderstood what you meant too because I thought you meant to only buy 10 things total/ per year that were a “10.” But then it occurred to me that it might be a good goal for me, one thing per month that is a “10.” The total shopping hiatuses seem to just lead to binges… not a good cycle. Anyway, thanks for sharing your story, it’s always so helpful for me to hear from everyone on this blog and I really appreciate you sharing your personal experience. I must admit it hasn’t been all smooth sailing and I’ve since had a couple of slip ups. Shopping binges… I totally hear you! And I agree that online shopping is so dangerous. I told myself I would not shop online at all, but with all the wedding planning, living in a country town, I have needed a lot of items that aren’t available locally, so I haven’t been able to stick with that one precisely. But it’s been great to set goals and take stock of things! The one’s that are working best for me is the one in, one out rule, it makes you really think when making purchases! The 10 out of ten rule- scoring items out of ten on the “I love it scale” before purchasing. and just slowing down asking yourself if you have something else you’d wear instead, or that is similar. Oh and of course the credit card, that’s a huge one. No more credit is the best thing I’ve ever done! Best of luck with your goals and kicking the habit! I was cheering you on until you said certain clothing items were too good to donate to second-hand stores. I feel you still don’t have the hang of this. If you didn’t need the money, why did the idea of donating “good” items repel you so much that you spent so much time selling on eBay? There are many decent, hard-working women who would have benefited tremendously if you had been thoughtful enough to make some posh items available to them. When it comes to the donate-or-sell topic, for me it was less about who ended up with my items, and more about finding an outlet for me to let go of some bad habits. About finding a way to let go that was right for me. I would hold on to clothes for years because they were pretty or a quality label etc. As I mentioned, I wasn’t thinking about the money when the eBay idea popped into my head. I sat there facing an enormous pile of clothes that I had been attached to for so long and a light bulb of eBay was a split decision that just made me feel okay about letting go. It enabled me to feel involved and committed with he process and it was empowering for me. It just worked for me. In the end it actually was about the money, haha, because I made a whopping $650 or more which is a bonus. But what I initially meant was that money wasn’t my initial drive for selling on eBay. Everyone’s different in what techniques help them change I suppose, but this was a first step that helped me clear out over half my wardrobe, possibly even more that day. And I agree! I definitely don’t have a complete hang of it yet, it will be a long process! I have changed quickly but have a long road a head of me. But I’m definitely making some huge grounds! I thank you for sharing too. I understand why you needed to do the ebay although I don’t sell on it. It was a way to force you to acknowledge every piece and not get caught in the purge/re buy garments syndrome. Evaluating why we buy what we do and to see what the initial cost versus final with all the work thrown in slows down and makes us mindful. Over a 6 year period I have gradually come to this same point. I ask myself questions when I evaluate a piece that will join my closet. Part of the process was defining my style. Part was breaking the “need newest/trendiest piece. Now I am facing scarcity issues of multiple basics. Because I thrift most of my pieces, I sometimes buy where I have 5 white t-shirts. Just in case. But I am slowly setting closet limits on this too. I only thrift high quality pieces and they are rare but I see that because I do have things that will probably not wear out I can slow down on this too. An accident like stains that can’t come out or rips that can’t be repaired are rare. If I buy one high quality vintage piece that is on trend and wear it multiple ways it’s better than going crazy. These revelations didn’t happen overnight but I am thankful for bloggers like Debbie’s and the Vivienne Files. The concept of “enough” hit me the other day when I was out with friends. Yes, I have a “wants/needs” list which has gotten so small. I also appreciated clothes in the stores and new gems on friends without jealousy and I have to have one too rearing it’s ugly head. Wow, growth, who know it would come to this? I want to say I so appreciate those who put themselves out there boldly because it helped me get here too. Thanks for sharing! Sounds like you’ve made so much progress! You mentioned it’s taken you 6 years to come this far and I can apprecirste that completely. I took some huge steps including the big clean out, the credit card chop, the dreaded conversation and setting some goals. But I have a long road ahead to find tune my compulsiveness and out of control moments. Now that I have done my big eBay purge, I hope to not have to ever do that again. I have a small-ish selection of things I love, (and I admit that still probably needs to be reduced a little further). If I stick to my vows, curb my shopping and keep it that way, I hope items would either be worn out all together or I’d thrift them. I’ve got a date set in my calendar for a 3 month reevaluation, any advice for that next step? Here in Australia we have autumn winter fast approaching. Do you or any readers have any advice for avoiding the awful shopping binge temptations when new season stock arrives? The 33 items challenge is appealing to me, however also very scary! Haha! Have youKthy or anyone done this? When were you ‘ready’ and what do you think I would take from the experience? I love your comments about no longer feeling jelousy or the I-have-to-have-one urges. I’m getting there, I’m better at it, but still have the urges when in stores. The main thing is I’ve learned to evacuate when those feelings flood in haha! I’d love to hear more of your advice Kathy! And thank you for sharing! Who knows if the clothes sold on ebay didn’t go to working women? There are many places/ways a woman can shop from, and if the seller got some money back from her ‘clothing mistakes’, why not, especially considering the expenses for the marriage? I think that it was a smart decision, not just for the money, but as a remind for the future, about how a loaded closet is not as ‘dreamy’ as magazines make it seem to be! This has been a very interesting discussion and I enjoyed reading everyone’s thoughts. Here’s my input… For years, I would buy probably 150-200 new items per year and I would get rid of close to that much, too. I always donated everything and it was SO easy to do. I would just bag everything up and take it to the charity shop and then I’d be done with it. Yes, I felt good that hopefully others would be able to use my cast-offs, but I also let myself off the hook really easily. I didn’t have to think about the items I culled or how much – or little – they were used/worn. I was just able to move on with my overshopping and jam pack my closet yet again. A few times, I did take the time to sell some things on eBay and it was a very enlightening experience. For one, it was time-consuming to photograph, research, and list everything. It was also disheartening to see how little money I was able to get for my rarely worn (or sometimes even unworn) items. It DID make me think about my behavior and I did feel more remorse than when I simply bagged everything up and donated it. In recent years, I do a combination of consigning and donating my cast-offs. The consigning does help me to recoup a bit of my investment and it has me feel a little bit better about it. I probably donate and consign an equal number of pieces these days. I have occasionally gotten reports printed out at the consignment shop that show how much my items sold for. The numbers were really low and it was depressing to see them. But ever since I started writing this blog, I’ve been questioning my behavior so much more and I am making a lot of improvements along the way. I don’t think I need to brutal lessons that Jessica got from listing items on eBay well into the wee hours, but it would have been very beneficial for me to do that early on. Sometimes we need a major reality check to help us shift our behavior. No matter where our cast-offs go, they CAN benefit lower-income women. They also can be re-sold for more money by people who have a practice of doing that. I try to let go of any expectations when I give items away or re-sell them. I choose to think that they will be put to good use, but I also understand that may not be the case. But the important thing is that we learn lessons and change our ways. 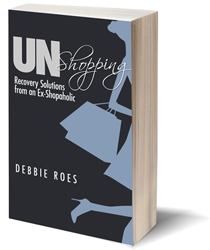 Sometimes we take three steps forward and two (or even more) steps back, but if we keep trying, we’ll eventually get to a much better place with our shopping – and culling – behaviors. It is nice to read stories like this at times when I am struggling, like now! I am also trying to be more thoughtful in my buying, and I think I am succeeding, but still just shopping too much. Good for you for finding accountability in your fiancé and for being so honest! I have to say I disagree with the comment that donating is always better than reselling unwanted clothes however. Charity and secondhand shops receive clothes in such quantity that it can never all be re-sold. While it’s a nice idea that someone with limited means will score your designer find, giving clothes to a charity shop is not a guarantee that this will happen. I like selling on ebay because it is very likely going to someone who wants that exact item and yes, it is a little money back. But some people don’t want to take the time in reselling or prefer donating for other reasons and that’s great too! I feel that it should be to each her own choice – let’s not criticize one another or find more things to feel guilty about…I think many of us deal with more than enough guilt already! Oh my gosh, being honest with my Fiance that day was the hardest most confronting conversation! I agree that the donate or sell option is a personal choice. At the end of the day it’s about what’s right for you, and your finances, and personal values. In hindsight, I would’ve felt more guilty had I of just donated everything. A real issue for me was not appreciating what I had and being extremely frivolous. So the re-selling process was about thoughtfulness and appreciating the value of what I own through taking the time to sell each item. Donating everything would’ve felt like an extension of my carelessness and frivolity. Best of luck with thoughtfulness when in the shops and your journey too ! I actually agree that some things are better to sell on ebay – I figure if I gave it to Goodwill, someone else would just do the same, so why not do it myself? I do donate nice clothes, but I would not donate an expensive designer purse for example. Perhaps I am too cynical, but I hear so many stories about people who do that for a living, scouring yard sales and thrift shops for stuff to sell on ebay. I have followed bloggers who did exactly that – they trolled Goodwill and put their finds on ebay. If you are really set on helping a woman who needs assistance then seek out a women’s shelter or center. They have lists of things they want donated because those are the things they know their clients need. Ebay was also a disturbing reality for me that curbed my shopping habit. I have 12 things selling right now and they’ve been re-listed and discounted numerous times and I was only asking 30% of what I paid for in the first place! Seeing all those never worn or worn once designer items sold for nothing made me feel really bad about the money I wasted and recouping a fraction of the cost actually made me feel worse! I must say the bad and guilty feelings are good for my bad shopping habit, since it put me off doing anymore fantasy purchases. My lifestyle really does not require a variety of clothes and fancy clothes even less. I’m still not brave enough to cut up my credit card like you Jessica but if I sense an urge to buy again, I will take the plunge and do it! It’s nice to know that someone went through the same process as me! I too found it frustrating when things got reposted and the process dragged on for 3 weeks. I’m glad it did though as it reminded me every day for nearly a month that I was making a change. They do say 28 days to break a habit? The credit card chop is a big step! And it depends on your financial situation too. I had a credit card when I was 21 and after racking up $4000 on an overseas trip, I vowed to never have one again. This new credit card wasn’t around for long. my fiancé and I got one for the sole purpose of a rewards points system and with all the money being spent on the wedding, our bank manager friend said we’d rack up enough points for a holiday. Back when we signed up for it I knew, and I told my fiancé and friend it was a bad idea for me. Oh boy, it sure was! It was the credit card, the idea that money was available to me any time, that sent me out of control. When I took this step outlined in my story above, I was at my absolute worst! I can’t beleuve how out of control spending I was! On top of the wedding expenses, oh my gosh! It’s still hard to come to grips now with the damage I’ve dine. I’m not a silly person by any means but there’s something about credit cards that give you a sense that it’s not your money and you don’t have to repay it. Credit cards are bad for us people that have spending habits. Some people can use them well but not me! I’ve sold jeans and handbags on Ebay and while it was nice to get some cash for the items, it was a LOT of work. And indeed I’ve never let my handbag collection get so out of control since the first time. Sometimes the work to get rid of things is enough to remind oneself not to overload on purchases again. Spot on! Oh my goodness it was a lot of work selling on eBay! Hours and hours and hours of posting and descriptions and answering comments. But it’s what i needed to become thoughtful about the situation I’d found myself in. No more eBay for a while haha! Thank you for sharing your story; it’s inspiring and I commend you for how far you’ve come. I recently took A LOT of items to Clothes Mentor. Just seeing the number of pieces for which I got only $95 was eye opening. That made more of an impact on me than just dropping off bags at Goodwill has done. It helped strengthen my resolve to stop the buy and discard cycle. Well done on your clean out! Taking that first step to get rid of A LOT of stuff is the first and most important step, from my experience anyway. It just gives you such a strong sense of your wastefulness and, as you mentioned, is a real eye opener. I also hve to say I feel so grateful for everyone who is popping replies on my story. It’s great to know I’m not alone in my crazy shopaholic moments. Everyone else’s syories inspire me to stay strong and keep up with this! Good luck with your journey Susie. Jessica, welcome aboard, and than you for sharing your story. I also had fallen into the trap of thinking that I needed a variety of outfits. So at first gaining a collection of clothes, shoes and purses that filled my average-sized closet was fun. Then it became taxing because I had too many choices. Most of all, I found getting dressed each morning stressful. My closet overwhelmed me. I had far more clothing than I needed. And like most people, I had my favorites and everything else just hung on its hanger waiting for a turn to be taken out and worn. Packing for trips had become torture. I prefer to pack light with a small carry-on bag, and I agonized over what to pack because I had a multitude of options. But the good news is about 5 years ago I’ve joined the community of women and men committed to reducing the amount of clothes we buy and wear, and now I have a small wardrobe filled with items I love and wear regularly. 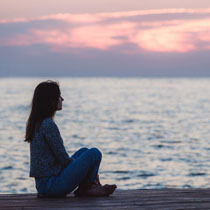 Still, I want to stay connected to those who are just beginning to walk the journey, and to those like Debbie here who is continuing onward, because the journey of “less is more” is a lifestyle process that takes constant and continual practice to maintain. I am a very thoughtful shopper, but it took me several years to get there — doing most of the things that have been blogged about here — really thinking about the kind of clothes I wanted to wear, where I was willing to compromise (choosing quality over quantity, etc.) This was 30 years ago and the lessons I learned have stood me in good stead every since. I work from an annual wardrobe/shopping plan that allows me to “save up” for big ticket items and yet helps me to avoid “impulse buying.” Like Jessica, if I see something in the store that is not on my plan (recent example: a great gray skirt on sale that will work with 5-6 other items already in my closet) I too wait a few days and carefully consider the consequences of the purchase — to my budget and to my wardrobe. When I buy items that have serious need-to-match issues (the right shade of gray) “on approval” and then once I get the item home I try it on with every thing I plan to wear it with — shoes, tops, scarves, jackets, etc. My recent “unplanned” gray skirt (something on a “if only I could find the right shade of a very neutral dark gray” list) cost me less than $10 — it was marked down and I bought it on a day of extra savings. Yes, I waited a few days but the skirt was still there (meant to be!!) AND it was further reduced!!! While it was an “impulse buy” because it wasn’t in my annual shopping plan, it fit a longer-range goal. And the color was a perfect match for a beloved 10-year-old gray cashmere sweater, an asymmetrical cardigan of some vintage, gray shoes, and a gorgeous silvery gray blouse — plus all my white, black, red, etc., tops! (I have a pretty good eye for color.) Because I don’t cruise the sales racks, I avoid a lot of stimuli to make impulse purchases. Ironically, the skirt was hanging face out at the end of rack that I walked by on my way to the lingerie section. It was still there 3 days later. My size, my color, and a perfect fit for $9.80 plus tax. My selling on eBay is now limited to handbags and jewelry. I tried selling a pair of shoes once, but was unsuccessful after 3 listings–and they were new, unworn leopard suede 4″ platform heels in size 9M! I was selling them for 50% of retail. Since then I’ve learned to list things that are not sized for ease of selling and customer happiness. I take clothing to a local consignment store. IMO, people need to be able to examine what they are buying when it comes to used clothing. Its not like buying from an online retailer with a generous return policy where your garment comes sealed in a plastic bag! I wouldn’t want to deal with trying to sell clothes on eBay because of fit issues, and because except in rare cases, I don’t think you can make enough profit at the end of the day off used clothing to make it worthwhile time wise. My rule of thumb for listing anything on eBay is that I have to be able to sell it for at least 40.00 or its not worth the time to take photos, set up the listing, pay the fees, arrange for shipping, etc. If it would sell for less than $40.00, its a lot less effort on my part to take it to consignment as part of a bulk delivery when I factor in my time and resources to sell an item. Sometimes if I have an item for sale that I think particularly suits someone I know, an item they would really like, I will give them first opportunity if they are interested in it before I list it on eBay. I only buy un-sized stuff on line except for sneakers in the exact same style when my beloved sneaks bite the dust. Ditto in consignment shops. I’ve never sold clothing on line, relying instead on a local consignment shop or donating to charity. I figure if I wasted time and money buying the wrong thing, the best thing to do is get rid of the offending garment with the least amount of time and effort as possible — no posting stuff on-line, checking the bidding, finding a box, finding the packing tape, packaging the item, going to the P.O., etc. A single short drive to a consignment shop or charity shop is so much easier to handle. However, I have to note that a few years ago I sold some collections on Ebay and did pretty well. Ebay seems so much more “commercial” these days and less about people cleaning out their attics. Wonderful post, and I also got a lot from reading the very thoughtful comments. Thanks so much to everyone for sharing! I’ve just recently begun the process of trying to pare down my wardrobe to include only things I love, and that are flattering, and that work with at least a few other items I already own. Part of my motivation is to free up some of the time and energy I spend trying to figure out what to wear and how to keep things tidy. And to use that “found” time and energy for more creative pursuits and doing other things I love. Friends and colleagues get a kick out of hearing my stories of using the KonMari method for organizing my drawers and letting go of lots of stuff, as well as my adventures in eBay and consignment. I keep telling myself it’s a journey….but the rewards are so worth it! Several years ago when shopping on Ebay became all the rage (who remembers Weird Al Yankovic’s song “I bought it on ebay?”) I also jumped on board and purchased a lot of stuff, thinking it was great. At the end of the day, I think it was all about the thrill of “winning” the auction more than the item itself. Most of the stuff I bought didn’t fit properly, wasn’t what I was expecting etc etc. I also realised I was buying other people’s crap and caste offs when I had my own to deal with. I stopped bidding on ebay a long time ago. On the other hand it as been a great place to sell. When I moved to live overseas and had to reduce my belongings by 50% I sold most on ebay and was happy to get something for these things. I also don’t give “good” designer things to charity and prefer to offer them to friend’s first. If anyone has ever read Lucy Siegles book “Fashion to Die For” you will learn that much of what is thrown into clothing bins for donation ends up being bundled up and shipped to Africa to sell there by the kilo. I just want to reiterate my thanks to Jessica for allowing me to publish your inspiring story. I also thank you for taking the time to write heartfelt and detailed responses to those who commented. Your story seemed to touch a lot of people and I thank those who shared their input here, too. We have a lot to learn from each other and we are all on our own paths. Every time someone takes the time to share their story, I know that I glean useful tips and strategies from what they share. I always welcome different viewpoints and I’m very pleased that virtually all those who comment here are respectful in what they write. If anyone reading this has a story they want to share, please let me know. As I’ve mentioned previously, it can be anonymous or you can share your name and link to your blog (if you have one). You don’t have to have been a shopaholic, either. 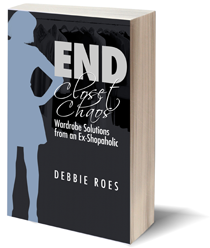 I welcome stories about overcoming closet chaos and wardrobe overwhelm or refining one’s personal style, too!